This is a special series as part of CentSai’s commitment to financial literacy at every level. We’re collaborating with financial education advocate Sam X Renick on a series of short interviews videos and tips. Speaker Ryan Foland tells Renick about a money lesson he learned as a child and shares tips for teaching kids about money. 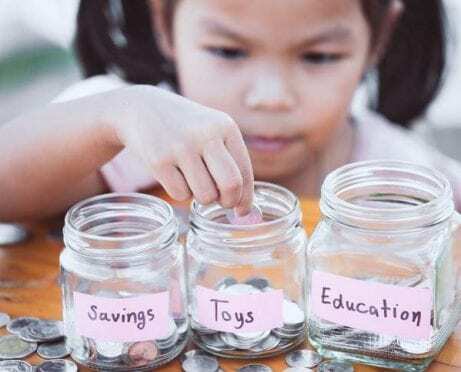 Sam X Renick: What is the most important money habit you learned as a child? Briefly share the story behind how you learned the habit and what impact it has had on you throughout your life. Like many kids, I performed chores around the house and helped with family projects to earn a weekly allowance. Then once a month, my mom, sister, and I would go to Toys “R” Us to spend our hard-earned money. I remember always finding myself walking up and down the Lego aisle, carefully inspecting new kits and contemplating how they could help expand my Lego city. After much deliberation, I would move onto an aisle full of GI Joes. I had plenty of the actual figures, but was always interested in the larger vehicles and ships to add to my GI Joe army that I had assembled over the years. My third and final stop would be in the skateboard section. I would pick them up, inspect them, and when no one was looking, even perform a little test run down the aisle. At this point, my mom usually knew where to find me and would tell me my sister had chosen all of her arts and crafts materials. She would also let me know we needed to go soon. I would think back to the expensive Lego pirate ship, the GI Joe battleship I didn’t have enough money for, or the orange-wheeled skateboard that made for the smoothest test ride ever. 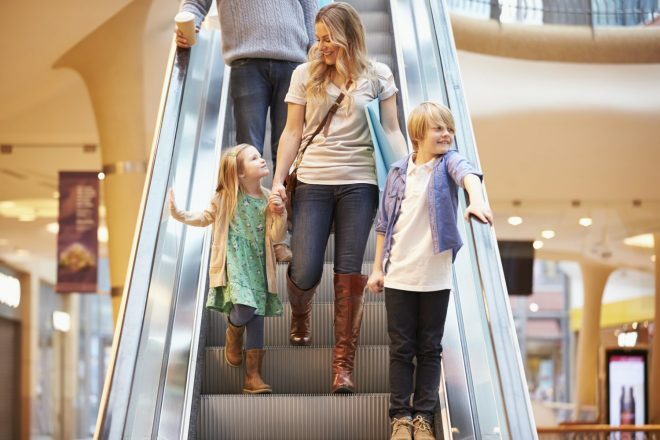 Further Reading: Learn how to stop overspending and resist temptation when shopping. And that’s exactly what I would do. I would wander the aisles each month, drooling over toys I wished I could have, but would put my money back in my pocket each time, knowing that next month, I would be closer to getting what I really wanted. The funny thing is, I never ended up buying the battleship or the skateboard. I would always get excited about having more and more money. Then the funny turned into the ironic. Whenever I would save money to buy the items I wanted, they would appear under the Christmas tree or arrive as a birthday present. I will never forget walking downstairs on Christmas morning, only to find the biggest present I had ever seen. I found my name on it, freaked out, and started tearing away at the wrapping. It was the GI Joe battleship I had been saving for! Or on my birthday, I might find myself unwrapping the skateboard I always wanted. Eventually I bought the Lego pirate ship I longed for. I kept it for 25 years, until recently. I gave it to a buddy who has a 7-year-old. The lesson I learned at an early age was if you are able to resist the urge to buy what you want now, you’ll end up with more money in the future. It also taught me a lesson about the difference between wanting something and needing something. I didn’t need a battleship, pirate ship, or skateboard. I just really wanted them. I wanted them so badly I was willing to wait for them. And to my surprise, I ended up getting them without paying for them — except for the pirate ship, of course. It’s funny because my mom often retells this story at family gatherings whenever the topics of money and saving come up. But to be completely honest, sometimes the lessons we learn as children don’t always carry to adulthood. After college, I found myself in a very successful sales position, making more money than I knew what to do with. And I wish at that point in my life I would have known what to do with it. Had my younger self reminded me of the importance of saving money, I think I would have been more responsible. But I had forgotten about my passion for saving once I started getting huge five-figure monthly commission checks. I bought a house and an expensive car. When I had money in hand, I seemed to spend it. Long story short, I lost my house and my car, and I filed for bankruptcy. It was one of the hardest financial lessons of my life. As fate would have it, I was 32 cents short on my postage when I mailed in my bankruptcy paperwork and it was returned to me two weeks later, unopened. Right then and there, I tore up the paperwork and vowed to get back on track. Since then, I’ve never looked back. When I feel like I want or need a big-ticket item, I bring myself back to the story of walking down the Toys “R” Us aisles. Finding the things I really want, looking at them really closely, and then putting them back on the shelf. Not spending the money you have burning a hole in your pocket is one of the most difficult things I have had to learn. I learned it the hard way. Enjoy the process of purchasing of an item, but only purchase it if you have the money to spend. And realize that if you don’t spend your money this month, you’ll have more money next month that you can spend — or save. Sam: If you could only teach a child one money habit, what money habit would you teach them? Briefly explain why. Ryan: The one thing I wish I had learned a long time ago is an extension of learning to differentiate between wants and needs. It’s the concept of making a budget. It’s something I still struggle with today. It seems to me that making and executing a budget is the foundation for financial stability and wellness. I’ll never forget the first time I got my credit card bill in the mail. When I opened it and saw the amount due, I immediately called customer service and told them there was a mistake. About halfway through the list, I got madder, almost furious. But this time, not at the customer agent I was talking with. I got angry with myself. All the charges on the bill were, in fact, charges that I made. But it didn’t make sense; how could they all add up to this ridiculous amount? I couldn’t spend that much money if I tried — or so I thought. I asked the customer service agent if she could hold for a moment, to which she very kindly said yes. I grabbed my calculator and feverishly typed in each amount. When I hit enter, the number matched what I owed, and that’s when it hit me: Each small purchase had added up to an unbelievably large total. Whenever I charged a smoothie or burrito bowl, I didn’t think much past the $7 to $10 being spent. But over the course of a month, those amounts added up rapidly. I wish I could share with you that I paid the bill off in full every month, but I can’t. I trapped myself by choosing to only pay the minimum balance on the credit card bill. That was not the worst of it. When I got another offer in the mail for a credit card, I signed up for it. Before I knew it, I had seven credit cards and over $32,000 in debt. Credit card debt owned me. Believe it or not, my monthly credit cards payments were more than my monthly car payment. It crippled me and was big reason I filed for bankruptcy (unsuccessfully). If I had created a budget and perhaps had a savvy financial coach, I think I may have made different choices. Instead, I overextended myself financially, racking up credit card and interest debt. It inevitably ended the only way it could: badly, a train wreck. I’m not sure what the best way to teach children to budget is, but I believe it is one of the most important financial lessons a child can learn and one I was not taught. A Final Thought: What If Research Is Wrong? Sam: Cambridge University research indicates that adult money habits are set by age seven. What if the research is wrong and adult money habits are formed earlier — perhaps around the age when the “give mes” set in? What does this mean for families, schools, and the financial education industry? Ryan: If that is true, we need to practice what we preach about being financially responsible. 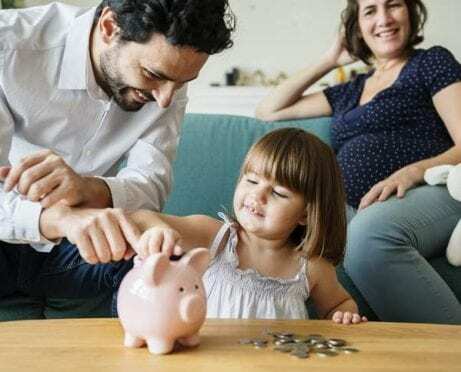 Kids pick up on all kinds of things we do, and if their financial habits and attitudes are set by age seven, we should teach them about money management much earlier. The impact would be massive, and it would benefit everyone. But for it to be effective, we need to build repetition and ongoing learning into the process. Repetition is the key to mastery. And ongoing learning is essential to growth. I have discovered that money is hard to earn, but easy to spend — particularly without a plan or a budget. 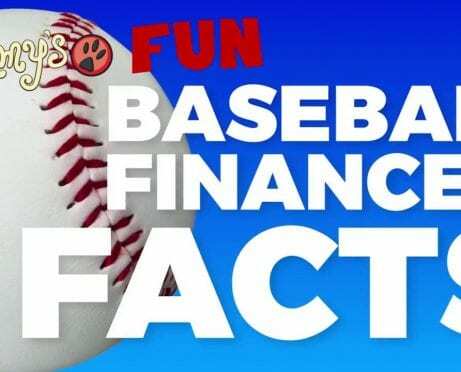 Early and ongoing financial education can help kids make better financial choices more aligned with their values and financial wellness. Develop a written financial education plan for your child or children. Discover more about Ryan at his website.